Enrico Rava, Tomasz Stanko (trumpet); Giovanni Guidi (piano); Dezron Lamont Douglas (bass); Gerald Cleaver (drums). 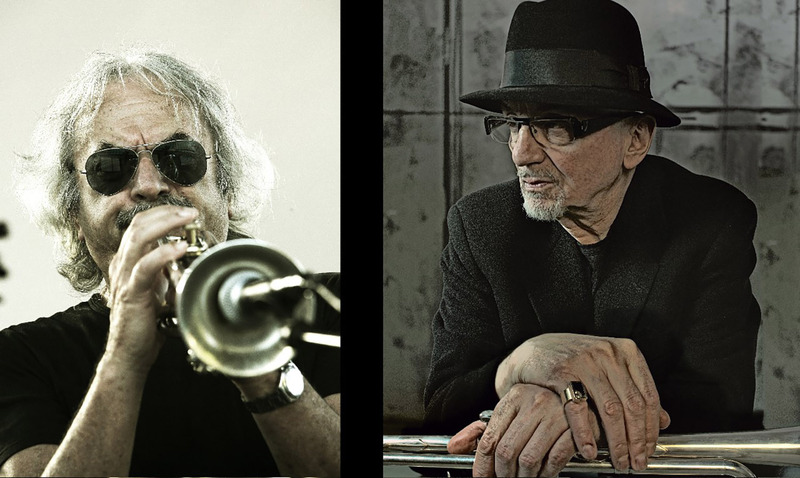 Trumpeters Enrico Rava and Tomasz Stańko belong to the best of modern European jazz musicians. Polish-born Stańko was the first to play free jazz in Europe. He is also popular in the United States, where fans compare him to Miles Davis and Chet Baker. Italian Rava recorded albums back in the sixties with the likes of Gato Barbieri and Lee Konitz, before making a solo album in 1972. Each year these veterans perform at the most famous clubs, theaters and festivals in the world. With their quintet this powerful yet unpredictable duo challenge each other while exploring each other's musical world. And even though Rava and Stańko are known as soloists, they know exactly when to give the stage to pianist Giovanni Guidi and the formidable New York rhythm section, consisting of Reuben Rogers and Gerald Cleaver.